Carat Price Per Gram Scam - How honest is your Gold Buyer? Naturally, you may think that the gold buyer offering the highest carat price per gram will pay you more. More often than not, customers who send their gold to gold buyers are mistaken, unaware, or uncertain about the weight and carat of their jewellery. With hundreds of online gold buyers to choose from, you will find one thing in common with the majority of them – they value your jewellery by weight and carat (giving you a carat price per gram). This article has been written to show you that the carat price per gram is not the most important factor when choosing a gold buyer, but the honesty and integrity of the gold buyer. An innocent little ring, but how innocent are the gold buyers you are selling it to? Online calculators rely on the fact that you, the customer, knows the weight and carat of your jewellery. Gold Buyers and online calculators use a carat price per gram in order to give you a valuation for your jewellery. Gold buyers are aware that kitchen scales tend to get knocked about quite a bit, and are nowhere near as accurate as trading standards approved scales. 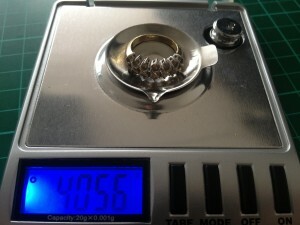 The customer has weighed their ring on some digital kitchen scales, and has determined the ring to be 3.5g and has allowed 0.2g for the weight of the Cubic Zircona stones. The customer thinks that the ring is 9ct so puts 3.2g of 9ct gold into the online calculator for each of the three gold buyers. The table below, compares three gold buyers each quoting slightly different carat prices per gram. Based on the above table, it may appear that Gold Buyer A pays the most, but let’s assume that the customer has 3 identical rings and sends one ring to each of the gold buyers. How do the actual offers compare with the website valuations? Now a customer sending their ring to Gold Buyer A would be very happy, they were offered exactly what they expected, and got a high carat price per gram than Gold Buyers B and C, but the customer would not be aware that they had been completely scammed. Why? Gold Buyers B and C where honest enough to weigh the jewellery properly, finding that the little gold ring actually weighed 4.0g and determined that the ring was in fact 18ct gold, not 9ct gold. Further still, Gold Buyer B corrected the customer’s weight, they did also deduct a massive 0.5g from the total weight to account for the cubic zircona stones. Gold buyer C, who appearing to pay a 80 pence per gram less than Gold Buyer A, actually ended up offering £50 more than Gold Buyer A, and £6 more than Gold Buyer B. As professionals in the jewellery industry, gold buyers have a moral and legal obligation to value our customer’s jewellery fairly and honestly. If we quote a carat price per gram, we should stick to it, and if we find that the customer does not know the true value of the items they are selling us, we should not take advantage of this fact. More and more, gold buyers claiming to offer the ‘Best Price for Gold’ are showing an extremely high carat price per gram. They are doing this to gain more and more market share. It has come to the stage where the prices quoted in some online calculators would mean that a gold buyer would need to purchase literally hundreds of thousands of pounds worth of gold, just to make £500 in profit. The numbers quite simply do not add up – and Goldealers have found that many of these well known, highly regarded gold buyers, are quite simply under-valuing customer jewellery at any stage possible in order to make their money. As a customer looking for the best deal when selling your gold, Goldealers would recommend that you do your research. Test out the company first by posting in a sample test parcel pretending that you don’t know the carat or the weight of an item – then and only then will you know if the gold buyer is one to be trusted. 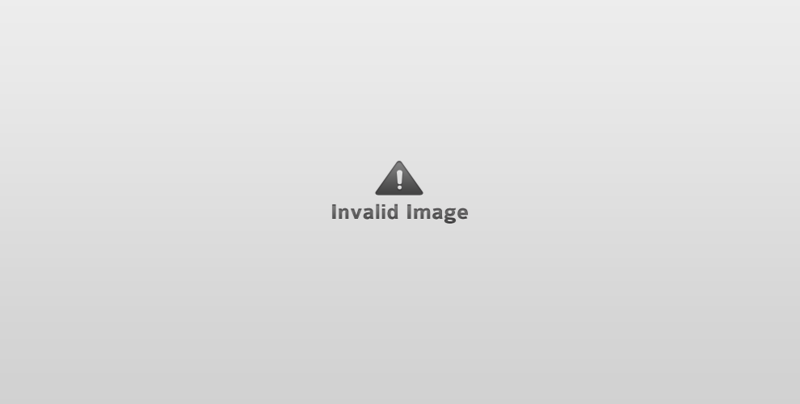 On 14th February 2013, Mrs Crouch from Kent posted Goldealers what she thought was 8 half sovereign gold coins. The website valuation was £931.28. Goldealers determined that they were in fact full sovereigns and actually paid Mrs Crouch £1,845.27. On 19th January 2013, Mrs Miller posted Goldealers with 237g of Sterling Silver. Goldealers determined that 3 items were in fact 18ct White Gold. Instead of the £100 she was expecting to receive for her unwanted jewellery, Mrs Miller received £95.48 for her silver, and £278.39 for the White Gold.